A great hair day starts with healthy, happy hair and there's an entire spectrum of caring formulas in the Bumble and bumble range. For short, long and all those in between lengths. Styling products to give texture, body, hold (and more). 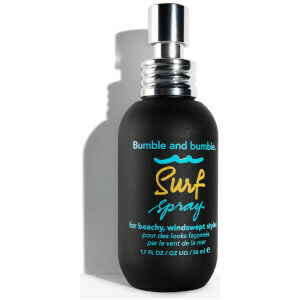 Bumble and bumble bestsellers coveted by hairdresser's, actors, models, fashionistas and beauty junkies worldwide. Lay the foundation for great looking hair with the Bumble and bumble Pre-Styling collection. Go big, go bold and get excellent hold with the Bumble and bumble Texture and Hold Collection. 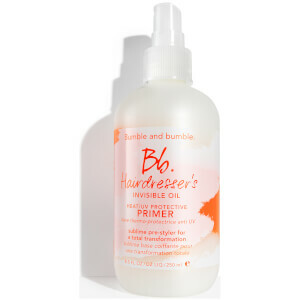 Round off your look with the poise of the Bumble and bumble finishers collection. Bumble and bumble began in in 1977, as a New York City salon famed for its signature rebel-elegance. Bb. Transcends hairdressing, crossing over into fashion and street-style. Their runway looks launched global hair trends-and, in 1991, a backstage need jump-started their iconic product range. With styling innovations inspiring fans everywhere. To this day they remain passionately dedicated to the transformational power of hair. Bumble and Bumble bring us luxury hair care that is constantly evolving and re-inventing itself. With an in-house team constantly creating new and exciting products, Bumble and Bumble provide a wide range of hair care products from cleansing and conditioning to styling and colouring. Born in NYC in 1977 they have since developed a huge range of hair care products that are loved all around the world. Known for the wonderful aromatic flavours and scents, you will truly remember a Bumble and Bumple product by smell alone.